For the latest CDC news and events please click here. 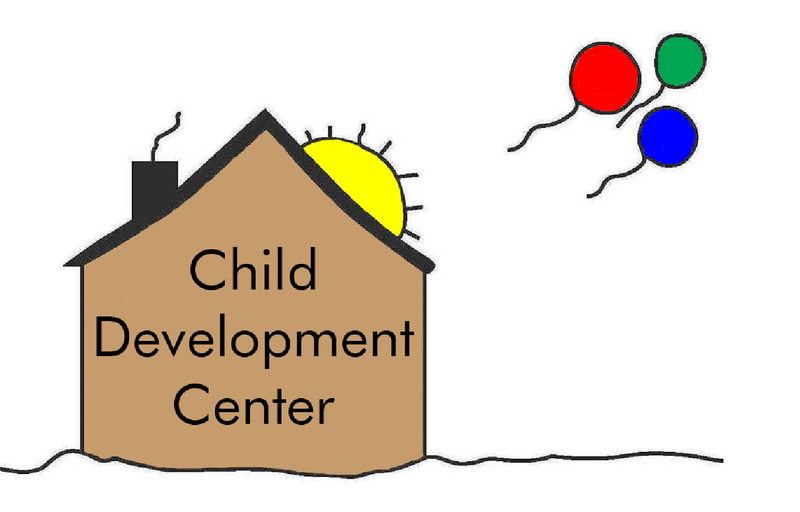 The Child Development Center (CDC) of the Community Development Center is a non-profit agency dedicated to providing early intervention services to children ages birth to three years old with developmental delay or disability. The Bedford County CDC was founded in 1972. In subsequent years the Center expanded its services to Marshall, Lincoln, and Giles Counties of Middle Tennessee. The CDC is licensed by the Tennessee Department of Mental Health and Developmental Disabilites. 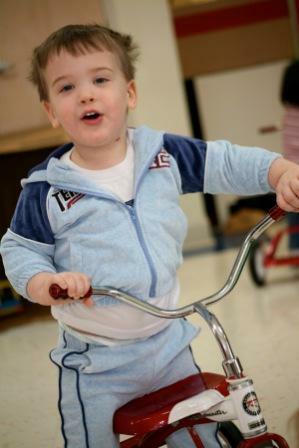 Annually, approximately 180 developmentally delayed infants and toddlers receive early intervention through the CDC. Services to children ages birth through 17 months old are provided in a home or community-based setting. Approximately 80 percent of children who receive services through the CDC are able to enter a regular education classroom by kindergarten. Early Intervention services provided by the CDC include specialized instruction to children, family training and family consultation. Specialized instruction involves working hands-on with the children to achieve family-centered goals, plus recording and analyzing developmental progress. Every six months a developmental assessment is completed to determine a child's present strengths and needs. Family training provides support and resources to parents as they meet needs of their child. Family training may be an alternative to specialized instruction or an additional service to a more child-centered program. Monthly consultative visits are conducted with all parents to share progress, review concerns, and exchange ideas. Each Early Intervention program is part of an interagency community. By establishing a cooperative and collaborative atmosphere with other agencies, the CDC is better able to address the needs of the Early Intervention population and their families. The Centers work closely with their local health care providers, Head Start programs, health departments, the Department of Human Services and the local school systems. 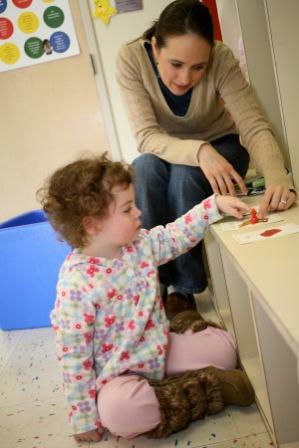 Early Intervention services at the CDC are available without cost to the families. Major funding to the program is provided through a grant from the Tennessee Department of Education. Other sources of funding include United Way, city and county governments, civic clubs, community of faith, local business and industries,and individual contributions. Annually, each Center engages in individual fundraising activities to secure remaining funds necessary to operate each program. The majority of referrals made to the program are received from physicians, although anyone with a concern for a child's developmental skills may contact the agency. Referrals are forwarded to Tennnessee Early Intervention System (TEIS) so the child may be assessed for eligibility for Early Intervention. 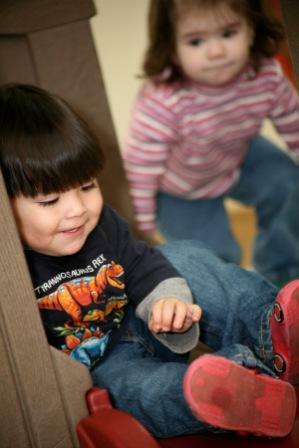 Six areas of a child's development are examined: speech/language, cognitive, fine and gross motor, social and self help. A forty percent delay in one of these areas, or twenty-five percent in two areas will qualify a child for services. Certain diagnosed disabilites and the degree of prematurity may automatically qualify a child. Each Early Intervention program is governed by an individual local Advisory Board. The Boards provide financial oversight to their respective Center, advocate for the program within the community, and assists to maintain an overall healthy agency. These Advisory Boards, which meet monthly, provide information and recommendations to the Governing Board of the Community Development Center. The CDC is monitored by the Tennessee Department of Education. At the last review, the agency was found to be in one hundred percent compliance with all Tennessee State Early Intervention objectives. Parent and Board surveys are conducted on an annual basis to ensure that the highest quality of service is being maintained throughout the four Early Intervention programs of the CDC.